For the first time, I have learned something from a movie that actually made me think about Wing Tsun Kung Fu. Although it started off with a bit of silliness (as per many Chinese movies), and contained some wire-fu, I actually enjoyed it more than older movies such as "Wing Chun" starring Michelle Yeoh and Donnie Yen, the Prodigal Son, Warriors Two, or Stranger from Shaolin. Nothing so far beats Yip Man (2008) with Donnie Yen though, even with the fictional storyline. I don't watch these movies to critique the Wing Chun Kung Fu itself or for a realistic documentary, because these are films... for entertainment! Anyways, in 功夫咏春, there is a scene where Ng Mui starts teaching Yim Wing Chun. Ng Mui has Wing Chun mirror the Siu Nim Tao form, and explains about how something so simple can contain so much. She then explains how the Chum Kiu form helps train the bridging arms and turning forces of the body. When it comes time to tell her about Biu Tze, she doesn't show her a form. In fact, she only says that it can be used for long bridging, and stressed that it does not have a form, and evolves as needed. Sure, Biu Tze has some different "moves", like the hook punch, elbows, etc. And it does help train body movements in a vertical plane, amongst other things. But all in all, it's almost like a form of freedom with the goal of freeing the Wing Tsun to a point of formlessness and directness. 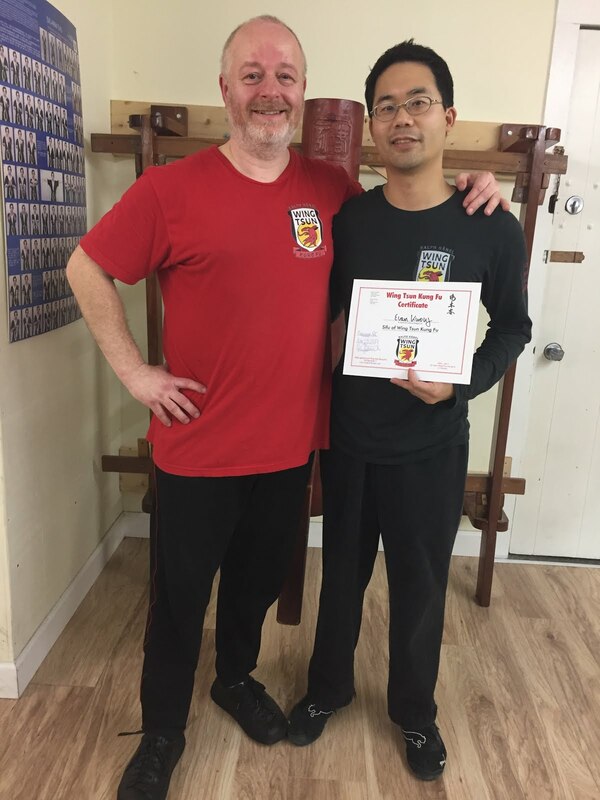 Here's to a good year... in life, as well as in Wing Tsun Kung Fu! i learned something too, from watching the clips,, here i thought hune sow was a wrist circling movement,, obviously it is a 'hidden teaching' for when you are flying through the air, and your whole body spins, not just the hand.. well, guess i will try to work that in my practise now. maybe when i leap out of bed at 5am, haha.